The UKTC (UK Technology Centre) acts as the innovative hub and global headquarters for product strategy, product development, industrial design, research, programme management and analysis for Royal Enfield. The facility boasts state-of-the-art equipment and modern workshop facilities that enable engineers to develop authentically styled and accessible​ ​motorcycles​ ​and​ ​future​ ​concepts. UKTC, which has a contemporary and futuristic industrial look, is spread across 3,000 square metres and over two levels. It essentially is a modern workspace for employees, with an Industrial Design Studio, Engine, Electrics, Chassis Build, Spray-shop, Model-shop, Metal work and Part store on the other floor. The spacious Industrial Design Studio has variable-height modelling platforms and a suite of workshop facilities to bring the majority of model preparation in-house. The Engine Test building, spread across 470 square metres, houses the​ ​latest​ ​dynamometers​ ​and​ ​emissions​ ​equipment​ ​for​ ​testing. 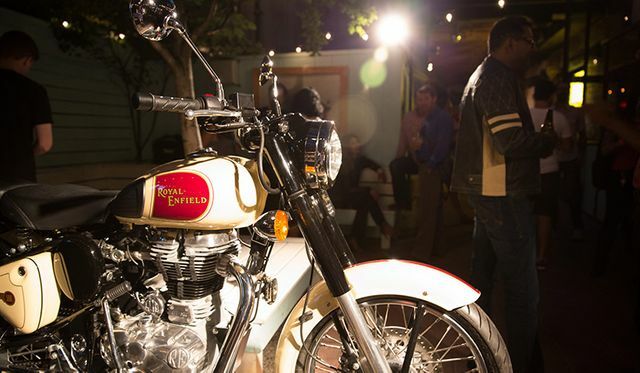 "Royal Enfield’s sales are equivalent to the global sales of Harley-Davidson, KTM, BMW, Triumph, and Ducati, combined. Let that sink in for a second." Triumph Tiger 1200 prices announced - Iconic British motorcycle manufacturer, Triumph, has announced prices for its new Tiger 1200 range.